Elegant & fully customisable. What more could you ask for! 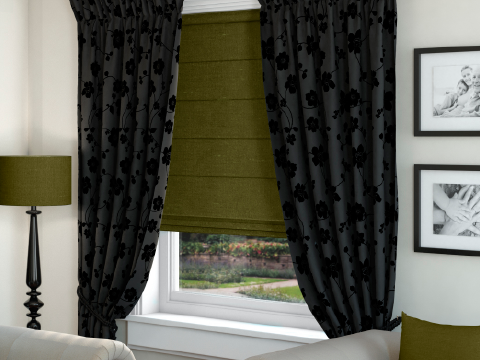 Our roman blinds have a touch of elegance and can transform any room with our great range of colours and fabrics. 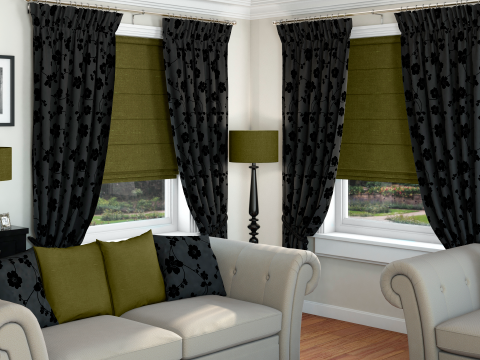 All come with either a classical finish or you can choose from one of our many blackout lined fabrics. 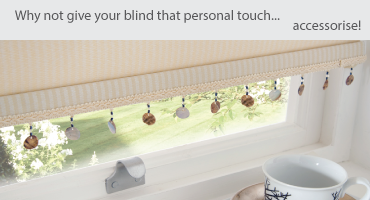 Roman blinds can be easily manipulated using a sidewinder control. 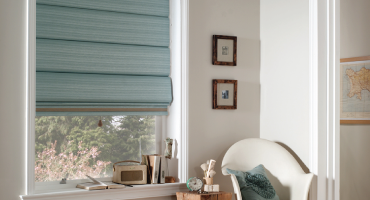 All of our roman Blinds are custom made on site and are made to measure to meet our customer's exact requirements. 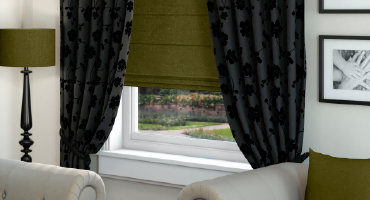 Our Traditional Roman blinds are great for any room within the home, adding a touch of elegance & luxury. 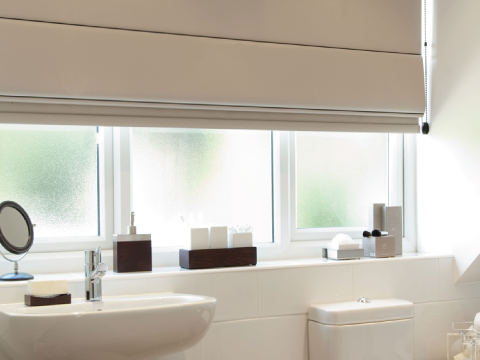 Woven soft cloth Roman Blinds are perfect for Living Rooms, Bedrooms, Conservatories & Orangeries. 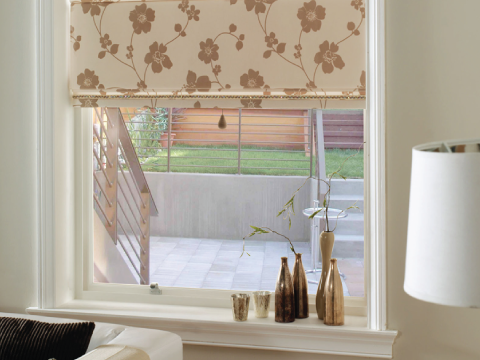 We have an extensive range of patterned roman blinds to compliment any room. 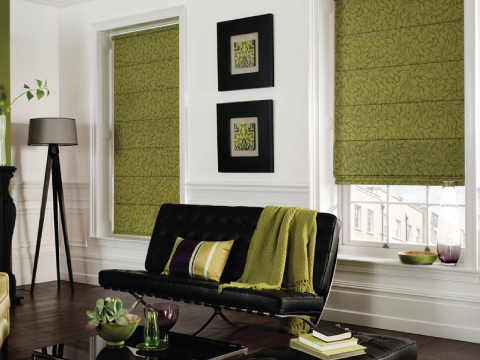 Whether it be a bold colour or a contemporary patterned fabric we're sure you'll find a good match for your home. 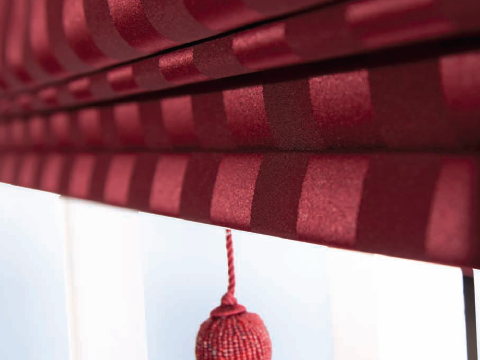 At North Notts Blinds you can choose from our great range of poles, scallops and braids to make your quality, handmade Roman blind completely unique to you. Why not call in today to see what we can do for you.